The most important feature of the WL AB-2001 obstruction light is that it works as a dual light. It has a dual array / layers of light emitting diodes (LEDs). 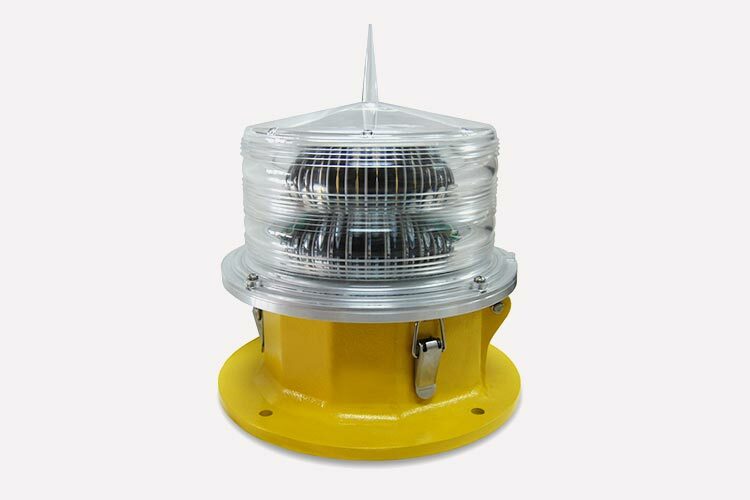 The WL AB-2001 medium intensity obstruction light is for marking towers (telecom, GSM), smokestacks, buildings and any other potentially hazardous obstructions to air traffic with a flashing white and flashing red safety light. The most important feature of the WL AB-2001 is that it works as a dual light. It has a dual array / layers of light emitting diodes (LEDs). During the day time 1 of 2 LED arrays / layers work, using a high powered white LED driver, giving 20,000cd flashing white light intensity. At night the other 2 of 2 LED array / layers work, giving a flashing red light intensity of 2,000cd. Bird repellent spike molded on to the lens / dome.